The Box is a place unlike any other. 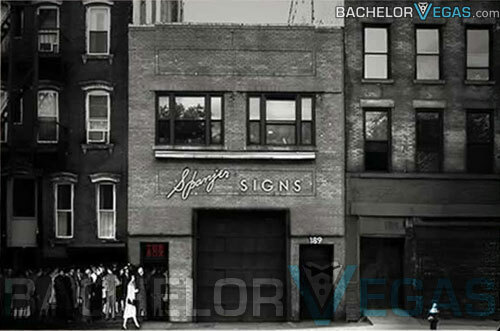 First off, this unique building was once a sign factory. Back in the twenties this trendy nightspot was a traditional factory. However, recently a makeover occurred thanks to Serge Becker. Becker enlisted theater geniuses Richard Kimmel, Simon Hammerstein, and Randy Weiner to create the ultimate setting for the perfect dinner theater. 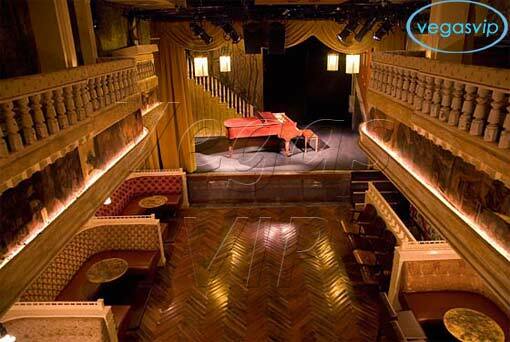 The makeover includes a cozy restaurant with theater, two bars, a stage, and a premium sound system. The goal was to create something reminiscent of an old, intimate Hammerstein Ballroom. The result turned out magnificent. The curving, Persian staircase and the mezzanine section of armchairs that surround a selection of antiques are simply beautiful to look at. The signature New Orleans type of balustrade allows a perfect view of the dazzling wagon wheel chandeliers and the back bar that is covered in mirrors and large, towering cabinets. If you are enjoying yourself on the upper levels of The Box you can make use of a smaller bar that caters specifically to you. This bar is open to people dining in the balcony booths that offer privacy through the use of velvet curtains. Meanwhile on the main level you will be able to enjoy U-shaped booths. Decorations on the wall range from wallpapered cherubs to flappers and fighting fish. Along with a first class gourmet dinner you will be treated to some of the best entertainment available. No expense was spared on the state of the art stage where all the magic happens. 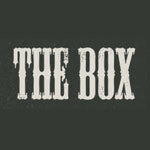 You will see some of the most interesting and eclectic acts in town at The Box. It is not uncommon to see big name celebrity performers, circus acts, or the occasional human oddity. Thespians from around the world also visit this stage to the delight of those who spend the evening here.